Whether to replace two teeth or an entire arch of teeth, we work with a full-service laboratory in Monmouth County to provide new dentures, same-day relines and repairs. We are happy to offer our patients a cosmetic alternative to metal partial denture clasps. Valplast dentures are made with a special flexible pink base that can make them easier to insert and remove. Are you tired of your dentures causing irritation? Wish they would stop slipping out? If you’re looking for a more comfortable replacement option but don’t have enough bone tissue to sufficiently support implants, mini implants may be right for you. Mini implants use a small number of tiny implants to keep your dentures anchored in place. The mini implants prevent slippage while enhancing your comfort and fit. 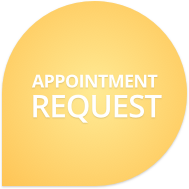 The procedure is quick and painless and can be completed in one appointment. In just one visit you can have a secure, comfortable, and attractive looking set of teeth. Contact Smiles By The Sea, dentist in Shark River Hills, to find out if Mini Implants are right for you!